Ford has revealed its all-new 2017 Ford Fiesta. This is the eighth generation of the super-popular hatchback, which is Britain’s best-selling car of all time, and sees the car shifting a little more upmarket, while the recently launched Ka+ will cater for buyers who want a cheaper small car. 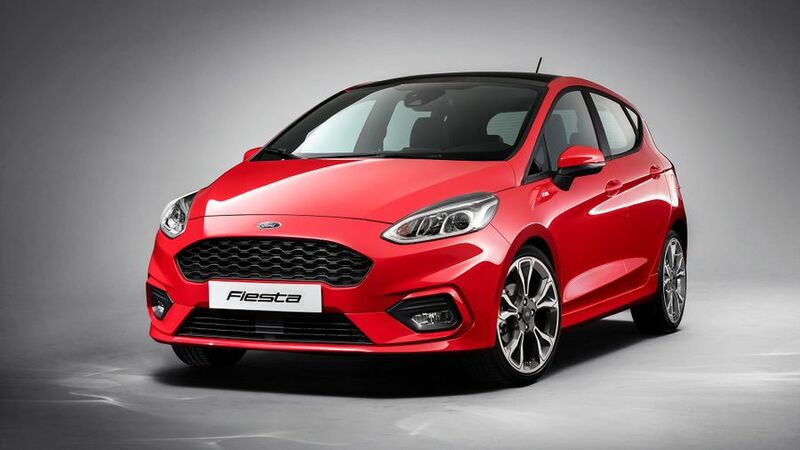 Compared to the previous model, the profile of the new Fiesta hasn't seen seen any huge change, although the car is a bit bigger in all directions. Where it obviously differs are in the details, with some new, slim headlights at the front, and a lower, flatter nose. Overall, the design is more integrated, with soft lines and curves, and a feature line running through the door handles, all the way to the rear lights. 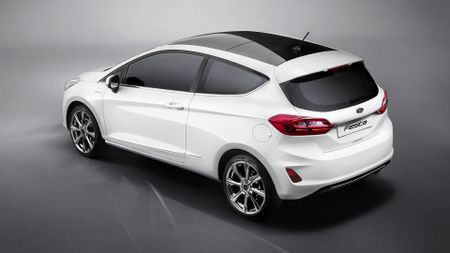 Ford has also added a panoramic glass roof, which you can open, while at the back, the new Fiesta looks wider, thanks to new horizontal lights, which replace the vertical ones on the previous model. In common with the outgoing model, the new one will be available with a choice of three- and five-door hatchback bodies, and will rival the likes of the Volkswagen Polo and Vauxhall Corsa. According to Ford, the new Fiesta is more spacious, more comfortable and more practical than the model it replaces. Inside, Ford has de-cluttered, and improved the look and feel of everything. 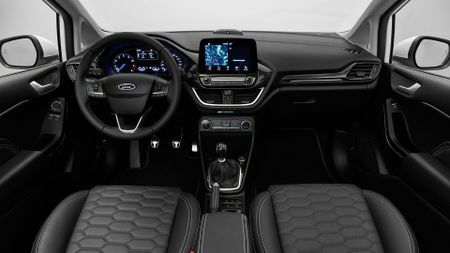 There’s a larger (up to 8.0-inch) 'floating' touch-screen with Ford's latest software; Bluetooth and DAB are standard; sat-nav is available; and, you can connect your smartphone. Overall, there’s around 50% fewer buttons on the centre console than in the previous model. Ford has teamed up with audio specialists Bang & Olufsen to integrate the stereo, so the car has ten speakers, including a boot-mounted subwoofer. There’s advanced voice control too, so you could say, ‘I need a coffee’ or ‘I need petrol’ and the sat-nav will take you to the nearest café or petrol station. The new Fiesta is the first Ford to feature an improved version of pre-collision assist with pedestrian detection (which can detect people in or near the road ahead, or who might cross in front of the car). There’s also active park assist, so drivers can park hands-free, and the 15 safety systems include traffic sign recognition, auto high beam, blind spot information, and lane keep assist. Ford has simplified the Fiesta's engine range, but still offers a range of turbocharged petrol and diesel units. The 1.0-litre EcoBoost petrol engine will be available with 100, 125 or 140bhp, with CO2 emissions of 97g/km of CO2 emissions; and, a 1.1-litre three-cylinder petrol engine, which develops either 70bhp or 85bhp is replacing the naturally aspirated 1.25-litre petrol engine. There’s also a new 1.5-litre high power diesel engine, which will be available with two power outputs. The 120bhp version has projected CO2 emissions of 89g/km, and the 85bhp unit emits 82g/km of CO2. Style will be the new base trim, with Zetec, Titanium and top-of-the-range Vignale models available too, along with plenty of opportunity for buyers to personalise their car. There will also be a new ST-Line trim, which has a sportier look, with alloy wheels and sports suspension, as well as a unique design of grille, front and rear bumpers and side-skirts. Inside, meanwhile, it will have sport seats, alloy pedals, a flat-bottomed steering wheels. 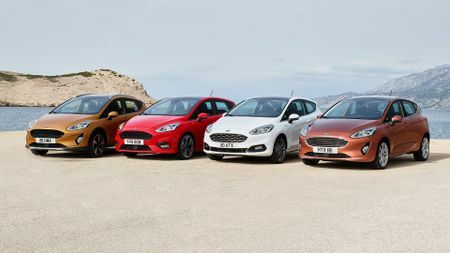 What is also very much new ground for the Fiesta is that, a short while after the standard hatchback models go on sale, Ford will also be offering an 'Active' version of the car. This is the first Fiesta crossover, and the first in a range of Active models to come from the company. With its SUV-esque styling, which includes increased ride-height and roof bars, it will look to attract buyers who might have been tempted by the likes of the Vauxhall Mokka X or Nissan Juke. The all-new Fiesta is due to go on sale in the UK in the first half of 2017; and while further details will be announced nearer the time, we expect prices for the range to start at no more than £13,000.